Renowned as one of the most scenic and intimate music festivals in the country, Telluride Blues & Brews takes place in the world-famous resort town of Telluride, Colorado, in the heart of the Rocky Mountains. Blues & Brews is a three-day celebration of blues, funk, jam bands, indie, rock, gospel and soul performances – accompanied by some of the best microbreweries in the country, a wide variety of food and craft vendors, children’s activities, late night shows, and much, much more. 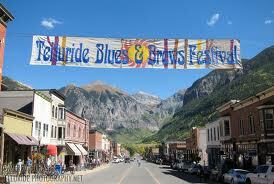 Although, the festival is only three days and three nights, once you get to Telluride, you won’t want to go home. Visit www.tellurideblues.com for more information.